These days, A powerful and reliable mail service is the requirement of every business. This is where Microsoft Exchange server can be recommended. Microsoft exchange server was introduced in 1996 by Microsoft. The latest version is Exchange server 2016. Exchange server helps to protect the end user’s data. It keeps the end user’s connected with a secure, reliable access to email even when the user is accessing by using a virtual device. Microsoft exchange server by default uses MAPI (Messaging Application Programming Interface). 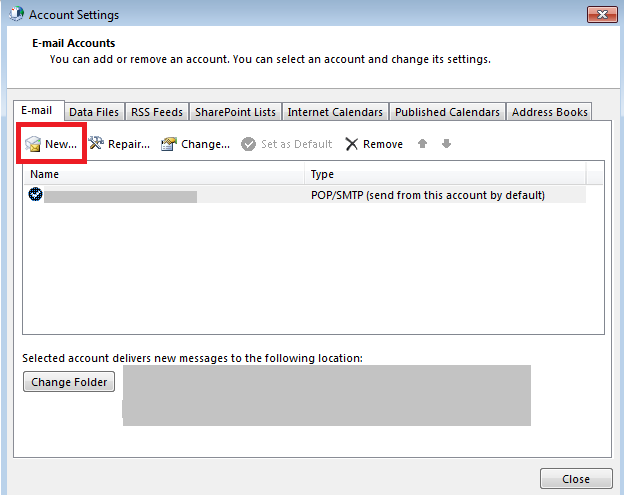 It also provides the Outlook account configuration with POP, IMAP, Outlook.com, etc. The Exchange Server provides synchronized data storage of emails, contacts, meetings, etc. It empowers the user with an in place archive in order to store the data in a synchronized manner. Security: Exchange server provides security mechanisms such as anti spam-filtering for continuous updates to stay secure from advanced spamming practices. Multiple Anti-malware engines help in protecting the email account data against viruses. Customization: Microsoft exchange server allows the end users to integrate some web-based applications to their user accounts such as web-based apps for office. Exchange server allows the user to operate applications such as SharePoint and Skype from a single interface with Outlook using the exchange server configuration. 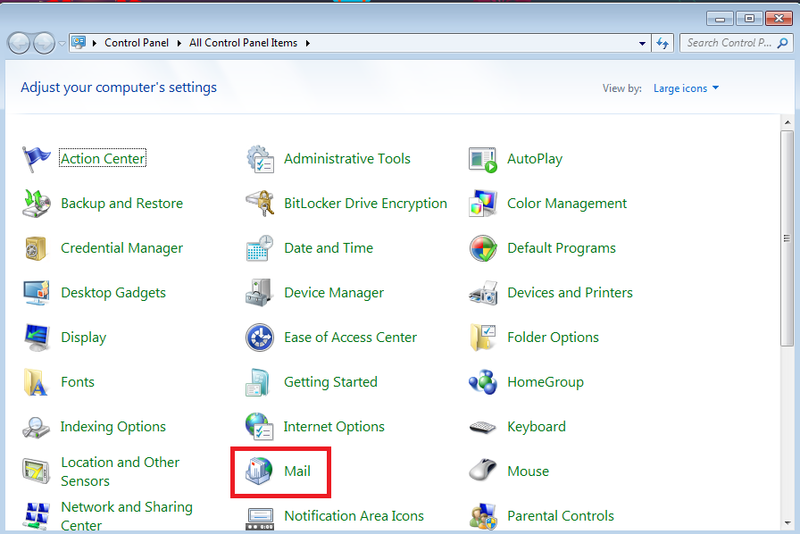 To get started with exchange server first, Click ‘Start’ and open control panel and click on ‘Mail’. 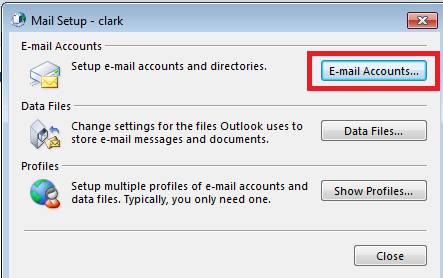 Tip:Close the outlook application if opened, As the exchange server can be configured through control panel only. After clicking the Mail option. 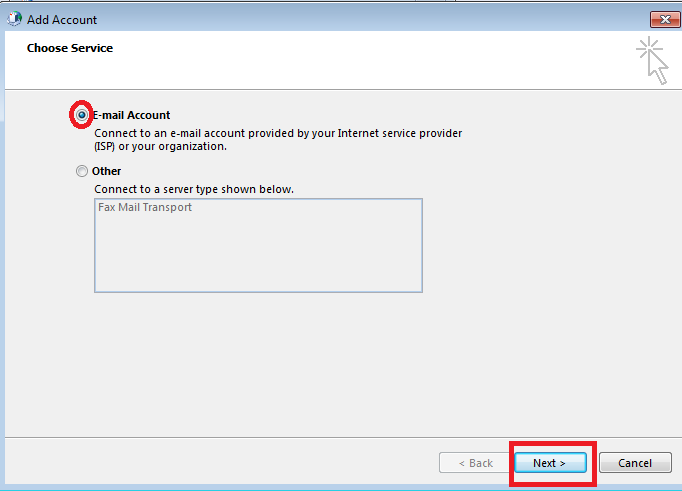 we can click on ‘E-mail accounts’ in the mail setup dialog box. Now, Click on the email accounts button, On the account settings window click ‘New…’. Press the E-mail account radio button, click ‘Next’. Now press the ‘Manual Setup’ radio button, Click the ‘Next’ button. 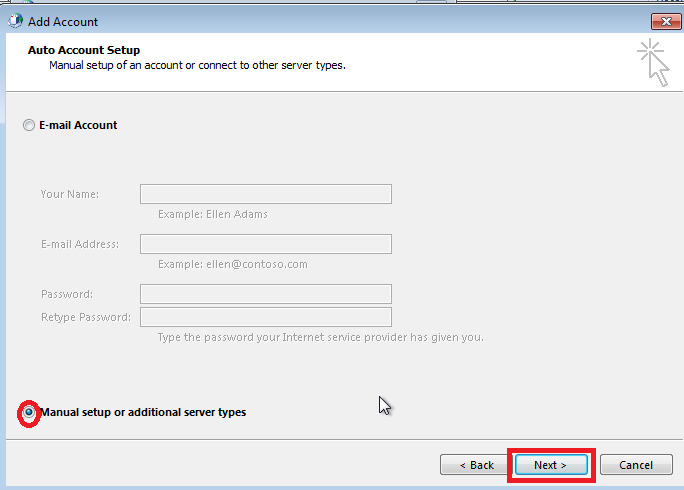 Mention ‘Outlook’ as the server and your Email id as shown below, Then click ‘Next’. Click next, A Finish window prompts click “Finish”. 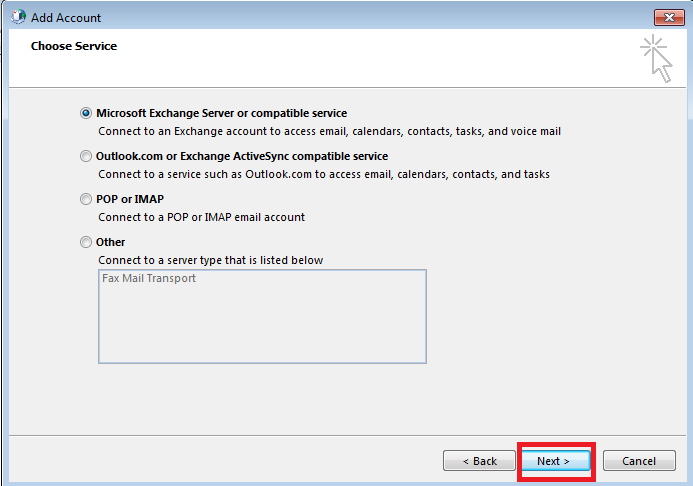 NOTE:We can view our Exchange server settings by clicking Control panel→Mail. 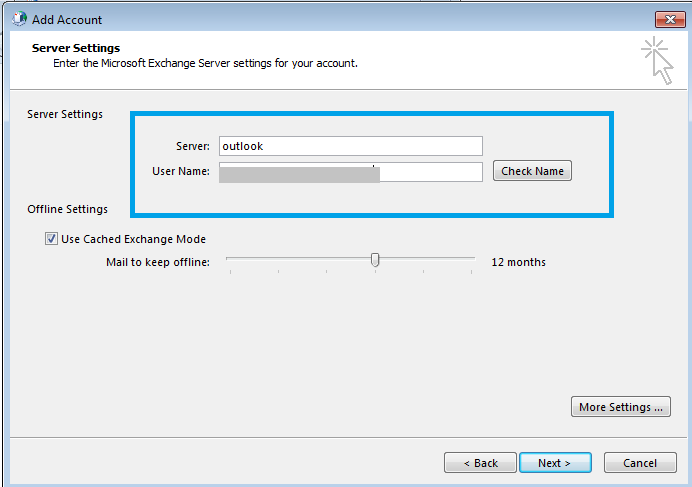 In this informative tutorial, we have described the Microsoft Exchange Server Configuration and steps required in order to configure Outlook email account by using the Microsoft exchange server. Exchange server is a very useful it provides many features such as security, synchronization, portability, etc.